The first new wave of grammar schools in England could open as free schools by 2020 – says the Grammar School Heads Association, after a meeting with the education secretary. The association has reported to its members on options under discussions for widening academic selection. It says there is £150m for short-term plans to create selective places within academies or expand existing grammars. The Department for Education says it wants “more good school places”. The department confirmed that the meeting had taken place – but says it will “respond in the spring” with its grammar school plans. The details published by the Grammar School Heads’ Association provide “key points” of a private meeting with Education Secretary Justine Greening, the prime minister’s adviser Nick Timothy and School Standards Minister Nick Gibb. The “Lifting the ban on grammar schools” meeting with ministers, described in the association’s newsletter, examined how new grammar schools could be created and academic selection widened. It suggests an aim for a more varied range of schools on offer – of which selective and non-selective schools would be a part. The head teachers report that entirely new schools could be opened in three years – but in the short-term selective places could be created within multi-academy trusts or by funding existing grammars to open new places, with £50m available per year for three years. It has been previously suggested that there could be units for talented pupils within schools, or shared between groups of schools, or that schools within a chain could be designated as a grammar. The notes of the meeting also talk of selection being aimed at a much narrower band – the top 10% rather than the top 25% which might have been seen as the traditional top ability stream for grammars. This might fit with suggestions that there could be more highly-specialist schools for the most gifted – particularly in sixth form – in areas such as maths and science. 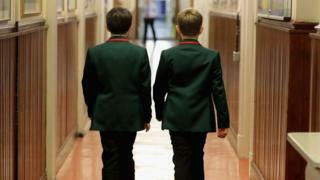 The proposals set out by the grammar school heads also suggest that proposals for entering grammar schools at the age of 14 – rather than at the age of 11 – are being ditched as impractical. Entry for new grammars could be determined by a national test – rather than allowing a range of separate tests. And under discussion is the idea that new grammars should be focused on “opportunity areas” which have been identified as having particular problems with underachievement and poor employment opportunities. But the heads say that no areas will be excluded from more selection “where there is parental demand”. There are suggestions of a shift in emphasis – with the heads reporting that the push would be on “social reform” rather than “social mobility”. The families seen as “just about managing” would be the priority, the heads suggest, rather than focusing solely on those families eligible for free school meals. The head teachers quote Education Secretary Justine Greening as telling them that “the response to the consultation on increasing selection was not ‘an overwhelming flood of negativity'”. “Ministers and officials agree with us that there are a lot of people, who are philosophically opposed to selection, who keep saying it damages the education of other pupils but present little or no evidence to support this claim,” said the head teachers. A Department for Education spokesman said that ministers had “set out plans to make more good school places available, to more parents, in more parts of the country – including scrapping the ban on new grammar school places, and harnessing the resources and expertise of universities, independent and faith schools”. He said the consultation on expanding grammars had prompted “several thousand submissions, which we are now going through. We will respond in the spring”.